So as many of you are aware I’ve recently joined the cult of the Pax 2, I absolutely love it. However, I’ve also had to learn a few things since buying it. When I first got it I thought “this thing doesn’t even work!” . I loaded up a bowl, and waited for the green lights to come on, and then sucked on it like I was in High School and late for class. And I wasn’t getting the monster hits that I wanted, or needed for that matter. In another post I talk about the importance of getting an aftermarket screen. This costs like 6 bucks on amazon. Just do it, it allows for better air flow and is easier to clean. The second thing I noticed after inspecting my spent bowls, was that bigger chunks of weed were not getting heated properly. So I went on a quest for the best grinder one could find. I ended up at my favorite dispensary in Boulder Colorado, Terrapin, and asked one of the employees there about what the best “fine” weed grinder there was. His answer threw me off a bit, considering he had grinders to sell there, but anyway, he said ‘just get a Krupps coffee grinder” and so I got back home and hopped on amazon and did exactly that. The one I bought cost 6 bucks and came in a few days. Basically you just load it up, and then spin it up. But I noticed something odd the first time I used it. If you keep the blades spinning for an extended amount of time, all the crystals and thc kind of form together and make this substance that is similar to Kief. I loaded some of this into my Pax and WOOOOOOoooOOOOoooOOOOOoo… it was super tasty, and got me crazy stoned. My girlfriend, who was skeptical about the Pax 2 took a hit of it as well, and same thing, absolutely zonkered. 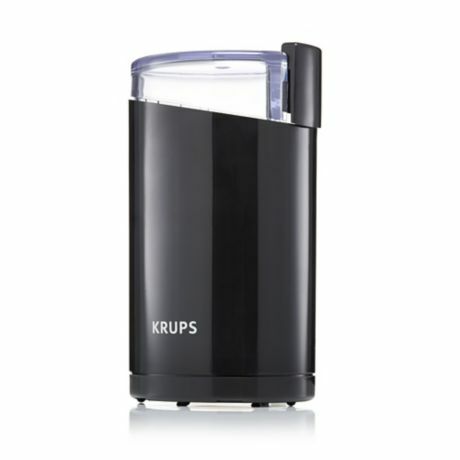 So skip trying to find the perfect handheld grinder, and just get a Krupps coffee grinder!